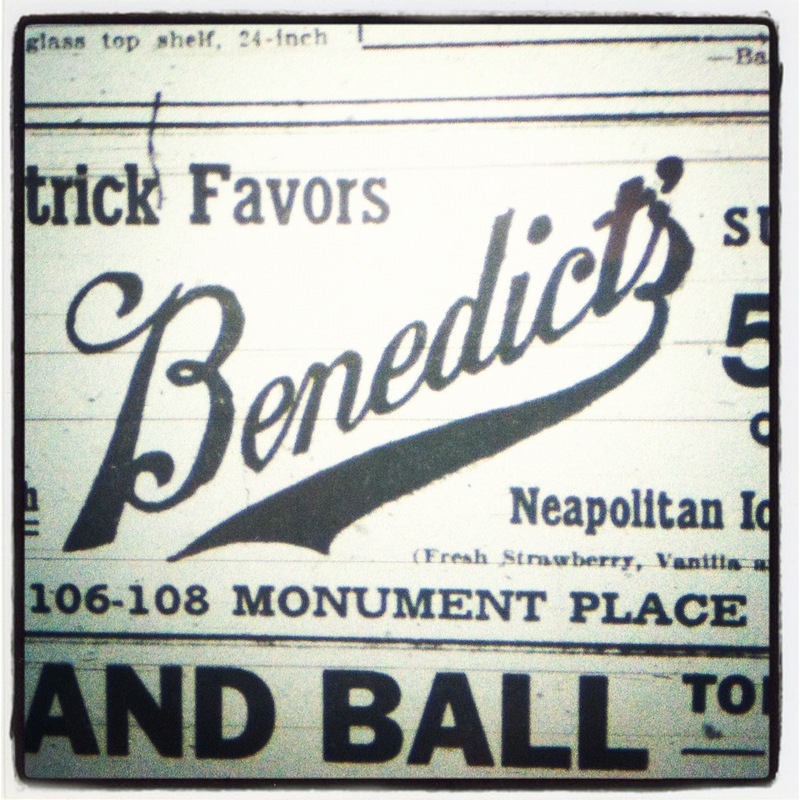 Sunday Adverts: Stokely Brothers & Co.
By the time William Burnett Stokely, Jr. moved his family’s canning plant to Indianapolis in 1933, Stokely Brothers & Co., started by William’s mother, Anna, had been in existence for thirty-five years and was likely a household name. 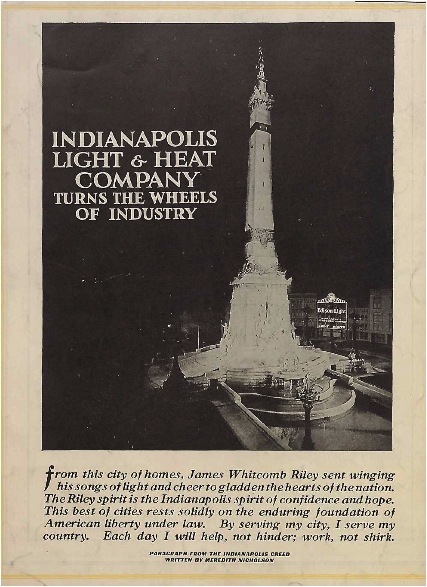 The move, first from its origins in Tennessee, then to Kentucky, and finally to Indianapolis, was prompted by a merger with the Indianapolis-based Van Camp canning and food packaging company, in operation since 1861. The merger was a result of Van Camp’s lingering sales during the depression. 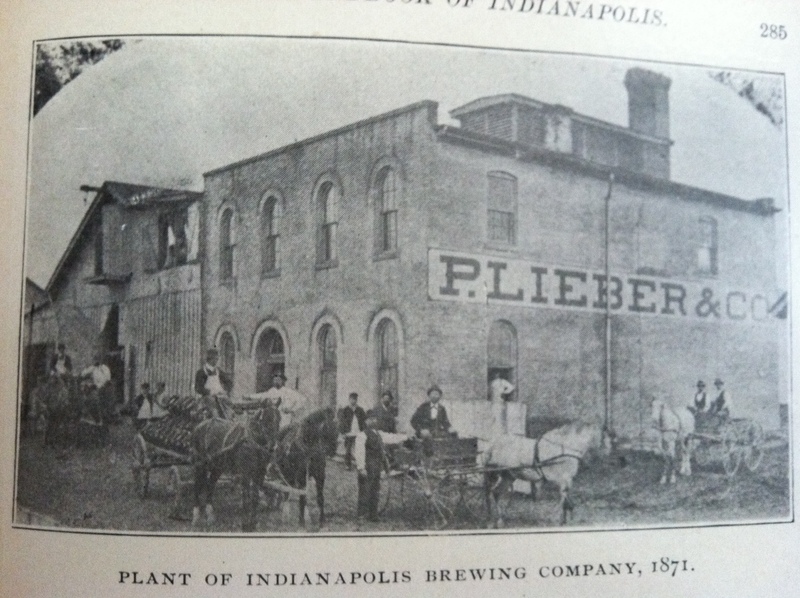 It could be reasonably inferred the deal was brokered by William’s brother, George, who, in 1908, traveled to Indianapolis to learn about modern canning techniques from the Van Camp company. 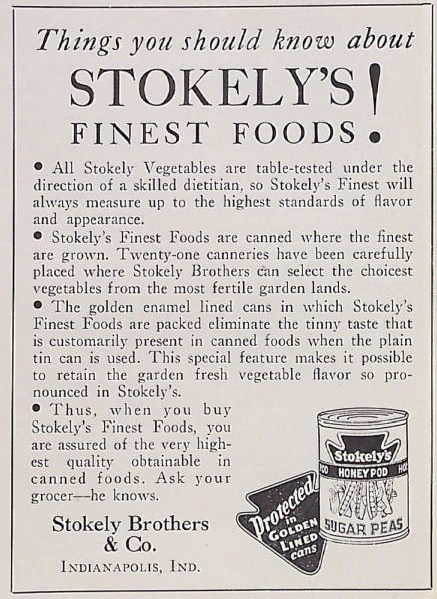 This ad, from 1936, does not yet bear the familiar Stokely-Van Camp name, which did become the official corporate name of the company until 1944, when Stokely-Van Camp developed Army “C” rations for the troops fighting WWII. Stokely-Van Camp also produced frozen foods, and eventually acquired the rights to produce and market Gatorade. The flagship facility was located at 2002 S. East Street, near the intersection of East Street and Raymond Street on the near southside, just north of Garfield Park. By the 1960’s, Stokely-Van Camp owned and operated over seventy plants in North and South America. As noted in this Historic Indianapolis article with some great examples of Stokely-Van Camp packaging, the company was acquired by Quaker Oats in 1984, which sold parts of the business to various companies, though it retained the rights to Gatorade until Quaker Oats was sold to PepsiCo. Conagra operates the Stokely and Van Camp names today. While the Stokely name is long gone from the buildings which housed canned vegetables and fruits, it endures on the campus of Marian University – the Wheeler-Stokely mansion, where William Stokely, Jr. lived from 1936 – 1963, is now used for Marian’s music program (and is rumored to be haunted!). 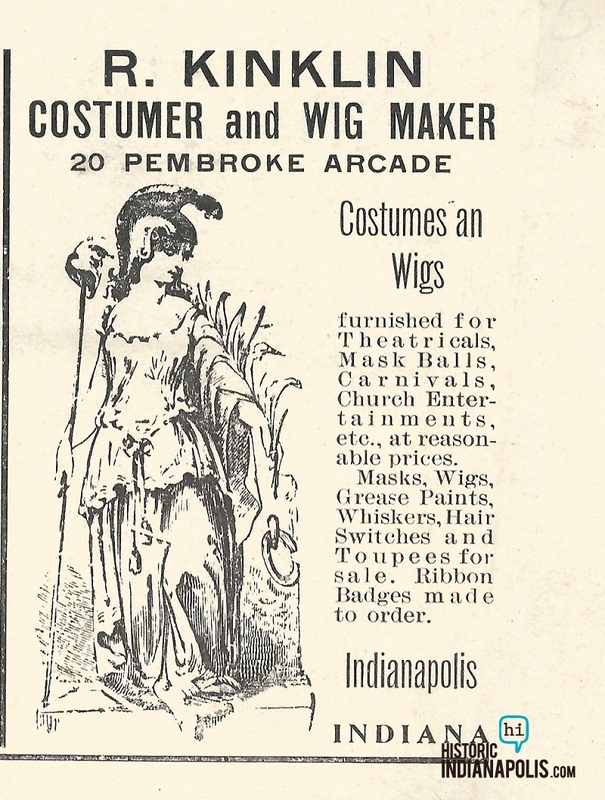 Sunday Adverts: Want to Play Dress Up? Does anyone know if the canning Van Camps are related to another Van Camp family in town that had a hardware business? Their son Courtland VanCamp II died in an automobile crash on New Year’s Day 1923 that Louisa Fletcher was also involved in and I’d be interested in knowing more. The Wheeler-Stokely mansion is rumored to be haunted because Frank Wheeler committed suicide there on May 27, 1921 by shooting himself with a double barreled shotgun. Yes, the Van Camps who canned fruits and vegetables and the Van Camps who were in the hardware business is/are the same family. Gilbert C. Van Camp (1817-1900) moved his family to Indianapolis from Decatur County, Indiana, about 1860. One of Gilbert’s sons was named Cortland Malott Van Camp, Sr. (1852-1909). Cortland had a son named Cortland Malott Van Camp, Jr. (1883-1923 ). However, Cortland Malott Van Camp III (1904-1922) was not Jr.’s son, but his nephew. Cortland III was the son of Samuel Gilbert Van Camp (1878-1923), who was Cortland, Sr.’s son and Cortland, Jr.’s older brother. Most of the sons and grandsons worked in the canning business. Samuel Gilbert Van Camp was the family member who operated the hardware store. I believe Cortland III died on December 31, 1922, not on New Year’s Day, as newspaper articles published on Monday, January 1, 1923, said that he had died in the early hours of Sunday morning. Also, Cortland III’s headstone at Crown Hill Cemetery says 1904-1922. I have a newspaper clipping about the accident, if you’d like me to send it to you via e-mail attachment. There is biographical info about Gilbert Van Camp on FindAGrave.com: http://tinyurl.com/l5xywjq . BTW, another of Gilbert’s sons, Frank Van Camp (1863-1937), was the one who built the magnificent home at 2820 N. Meridian Street that was demolished in the 1960s for the construction of the Stouffer’s Inn. Thanks, Sharon. BTW, Senator Capehart’s biography mentions that Homer had worked at the Stokely Mansion on Meridian in his teens, was robbed of his earnings by a fellow co-worker, and much later took great pride in being able to build the hotel on its former site. Thank you, thank you. This article answers my question about 2002 S. East St. I drive by it occasionally and always wondered what was that facility? It is obviously re-purposed at this time as one of those office splits that is sort of a business incubator in function, though truthfully, it looks like mostly nothing is located in the facility. Thanks. Their former office building on the east side of Meridian St. south of 16th Street is still an outstanding building — white, and very impressive. My grandfather, Lee Roy Stokely, Sr lived in Fayette and Clark Counties, Kentucky . His father was William Martin Stokely, your article says that William Burnett Stokely moved first from Tennessee then to Kentucky. Do you know if my grandfather or my great grandfather were related? I’m pretty sure our names are in the Stokely Memorial Library in Newport Tenn. I haven’t been there but my sister and my father, Lenard Craycraft Stokey ( deceased) have been there. Thank for any information you can give. I was on the first live TV show in Columbus Ohio sponsered by Stokely Van Camp called Laugh with the Ladies. Do you have any record of this? I worked at the administrative offices for Stokely Van Camp at 941 N. Meridian Street from 1968 through 1975. I worked data processing (my first job). I believe that we were part of a consortium that began putting UPC Codes on products. I remember that we sponsored annual Indian’s games at the old Victory Field and we gave out free Gatorade and popcorn.